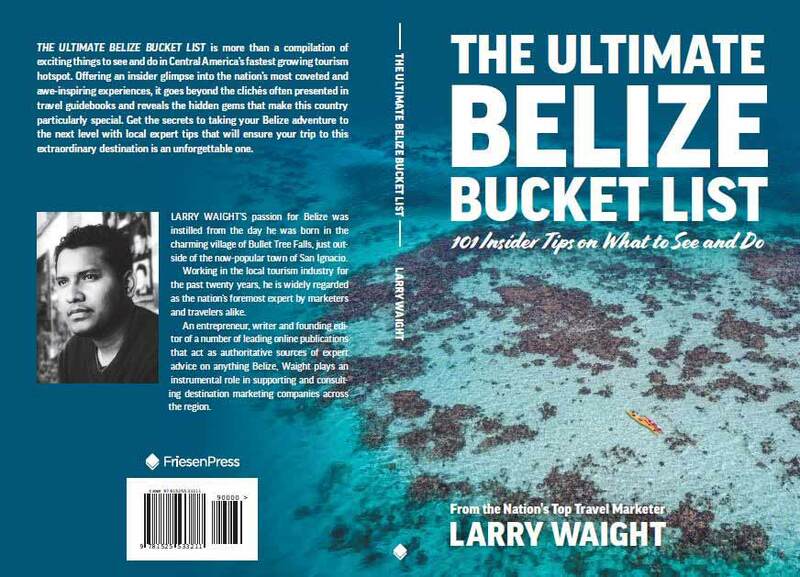 Containing over 100 tips from a true insider, The Ultimate Belize Bucket List serves as an all-in-one "travel bible" for anyone considering visiting the country. Unlike other guidebooks that are written by authors who visit Belize for a couple of days every few years, The Ultimate Belize Bucket List is authored by a man who was born and raised in Belize with over 20 years of experience in the travel industry. The Ultimate Belize Bucket List contains information on the 101 top attractions in Belize, including Waight's personal favorites like cave tubing (floating down underground rivers on an inner tube), the island of Ambergris Caye, and Garifuna drumming. The book is also packed full of insider tips about mom-and-pop restaurants few tourists know about and information about local cultures, customs, food, and music. "I love sharing the beauty and wonder of my country with visitors, but unfortunately, much of the information out there is out of date and confusing," said Larry Waight. "With my new book, I'm hoping to create an all-in-one bible for anyone who wants to visit Belize. I also wrote it to help my fellow Belizeans learn more about their country and appreciate all of the amazing things it has to offer." Larry Waight’s passion for Belize was instilled from the day he was born in the charming village of Bullet Tree Falls, just outside of the now-popular town of San Ignacio. Working in the local tourism industry for the past twenty years, he is widely regarded as the nation’s foremost expert by marketers and travelers alike. An entrepreneur, writer and founding editor of a number of leading online publications that act as authoritative sources of expert advice on anything Belize, Waight plays an instrumental role in supporting and consulting destination marketing companies across the region. For more information about his work, please visit: www.larrywaight.com. This book became available for sale yesterday. Note, it will be on Amazon shortly but for right now, travelers to Belize can use the above link to get the book.